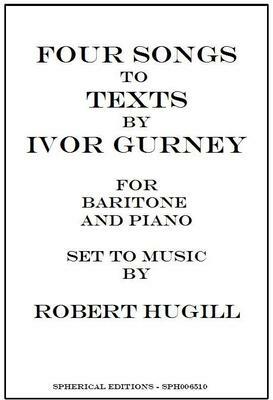 Settings of four moving poems by Ivor Gurney - Song, Requiem, To His Love and Song and Pain. The poems were written in the light of the First World War. Robert Hugill's songs address issues of love, friendship and loss to form a trajectory from loss to acceptance. In 2007, To His Love came 2nd in the English Poetry and Song Society's Ivor Gurney Competition and Requiem came 4th. My dead friend's face as well"
What do you want to know about Four Songs to Texts by Ivor Gurney?